Ever wonder why some physicians become wealthy, while others struggle to save enough to retire? Turns out doctors do not always make good savers and investors. 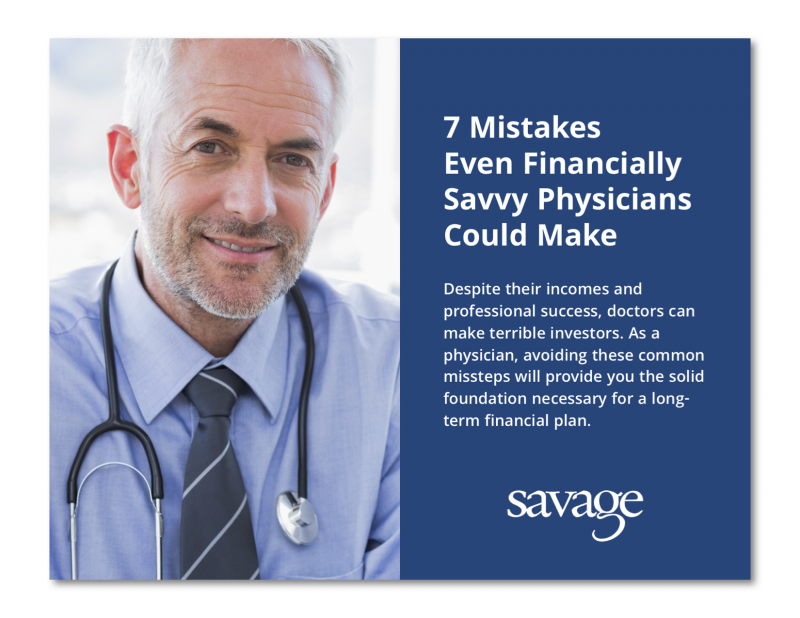 In this White Paper, financial advisors Sean Savage and Tony Desch outline common missteps physicians make in saving, investing, and spending their well-earned money. Learning these mistakes will help you avoid making them and provide you with some groundwork for establishing a solid long-term financial plan. For their part, veteran and retired physicians who have successfully built significant wealth may conclude there are benefits to receiving experienced wealth-management advice and having a well-planned retirement income distribution strategy. Download now, and avoid costly mistakes that could prevent you from achieving financial wellness. What’s the prognosis for your financial health? Get our free White Paper now.